The Rotary Club of Grays Thurrock promise to respect the confidentiality of any personal data you share with us, and keep it safe. And we will always make every effort to protect your privacy. We pride ourselves on our honesty and openness and will always be clear how, when, and why we collect and process information. 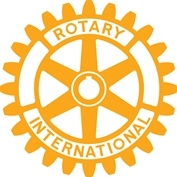 The Rotary Club of Grays Thurrock (“the Club”) is the data controller (contact details below). This means it decides how your personal data is processed and for what purposes. How will we collect personal data? You are under no obligation to disclose any personal information to us at any time. We collect information you provide directly to us. You may be asked to give your name, e-mail address, mailing address, and any other information you choose to provide for the purpose of our activities. Log Information: We log information about your use of the Website, including the type of browser you use, access times, pages viewed, your IP address, your general location, and the page you visited before navigating to our Services. Our website uses "cookies" which are small files containing pieces of information that are stored by your browser on your computer's hard drive. Most Web browsers automatically accept cookies, but if you prefer, you can set your browser to block them. Our cookies can contain information such as your user ID that our website uses to recognise you. Our cookies cannot read data off your hard disk or read cookie files created by other sites. The only personal information our cookies contain is the information you provide yourself. When you enter personal information on our website, your personal information will be linked to the cookie we save on your computer. If you do choose to delete your cookie, you may not be able to use the administrative features of the website. We use Google Analytics to track how visitors interact with our website, analyse where traffic is generated from and collect information related to general site engagement. To exercise all relevant rights, queries of complaints please, in the first instance, contact the Hon. Club Secretary via our email address on http://www.graysthurrockrotary.org.uk/ or by post to The Rotary Club of Grays Thurrock, FAO The Hon. Secretary, c/o Orsett Hall, Prince Charles Avenue, Orsett, Grays, Essex RM16 3HS.